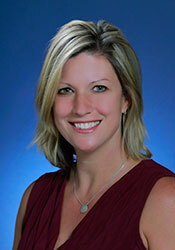 Dr. Shannon Hess has been treating patients of Carson Medical Group for the past eight years. During which she has modeled the very best in quality healthcare for the women in Carson City and surrounding rural communities. Shannon is one to learn from and by her example when it comes to a balanced lifestyle which consists of hiking, skiing or climbing and taking full advantage of the natural beauty and activities found within Northern Nevada. “Living here in Carson City allows me to have a good work/life balance.” she explains. In her spare time, you will find Shannon reading a good book or taking a run. With 12 years of OB/Gyn experience, there are many areas of women’s health for which Shannon would like to impact. For the younger women; an increased knowledge and access for contraceptives. For the older women; helping them cope with the life changes that come with menopause, both physically and emotionally. With all women; to educate them on the many options to minimally invasive surgical techniques for which they have access to.